John joined the Valley team in 2002 not long after graduating from Virginia Tech. As the leader of the Valley sales team, John is responsible for fulfilling the expectations of our suppliers and ensuring that we provide each client with the best service possible. Since his arrival in 2004, Monty worked his way up through the ranks as driver and salesman and now Supervisor. With years of experience and a thorough knowledge of the beer trade, Monty is standing by for all your needs in Salem, Floyd, Radford, and the New River Valley. Upon his arrival in 2006, Jarod began his role with Valley Distributing servicing grocery stores in the Roanoke Valley. He moved onto selling restaurants in Salem and the New River Valley. In 2015, Jarod was promoted to Grocery Store Supervisor in the Roanoke Valley and is ready to help with all your needs. 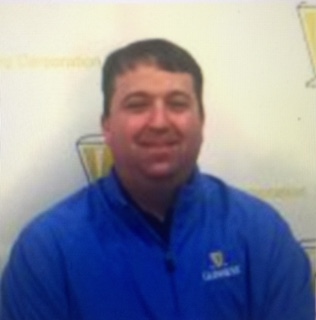 Jason joined Valley Distributing in 2004 servicing our Convenience Stores. From his start until December 2016 he worked in every channel of Valley's business until his promotion as Convenience Store Supervisor of Roanoke, Covington, and Smith Mountain Lake. Jason is excited and ready to help grow sales. Dave started with Valley Distributing in 2014 as our On-Premise salesman in Roanoke. In 2016, Dave was promoted to On-Premise Supervisor. Dave's knowledge and passion for beer is second to none and looks forward to working with his many customers.